The domain name base and the active zone change frequently and are updated on this Verisign page at least once per day. The update times may vary each day. A given day’s domain name base is not necessarily indicative of results that may be expected for the current financial quarter or year. 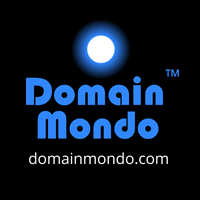 The daily domain name base provided at that link above may not be comparable to domain name counts Verisign discloses elsewhere. The domain name base may also reflect compensated or uncompensated judicial or administrative actions to add to or remove from the active zone an immaterial number of domain names.